After our newswire that contained criticisms of Lawrence Lessig’s campaign finance reform quest, a Lawrence supporter took us (in our hubris) to task for not including Lessig’s responses, insinuating that his answers resolved their concerns. Truth be told, we simply hadn’t seen Lessig’s counter; no conspiratorial effort on our part to bring down the professor’s campaign was involved. 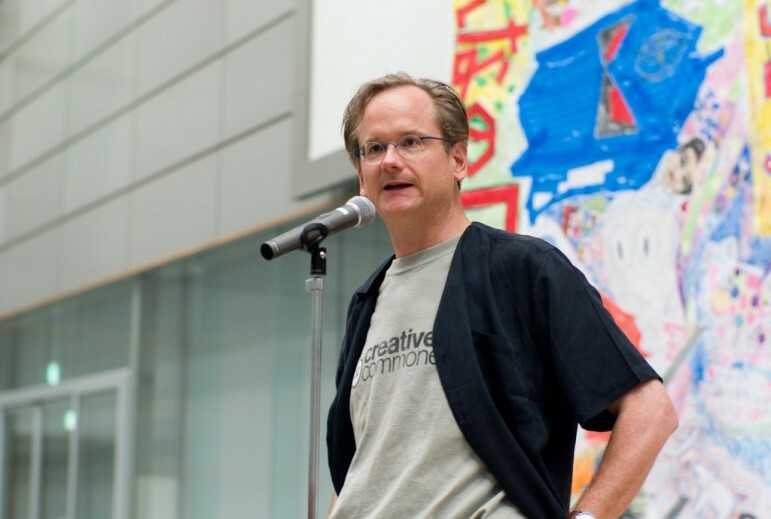 While Lessig understands the criticisms that have been unleashed regarding his plan to focus on the “extraordinary reform [that] would require an extraordinary mandate” (his plan to run, achieve a major campaign finance reform restructuring, then resign), he responds, “There’s a constant question that seems never to occur to the critics…if not this plan, then what plan? He posits that campaign finance reform—or more broadly, electoral reform—is “essential first” and he questions whether “the alternative—an ordinary president who promises reform as just one among many priorities—is more likely to pass that reform, first.” Lessig challenges whether potentially “ordinary” president such as “Hillary Clinton or Bernie Sanders could bring about fundamental reform?” Lessig clearly doesn’t think so. In an earlier piece, Lessig took on the criticisms of the Brookings Institution’s Thomas Mann more specifically, indicating that he doesn’t think his entry into the presidential race dumbs down the debate. He suggest that Mann has shifted from a concern about a corrupted political process to a concern that blames Republicans as the cause and protectors of the nation’s electoral pathology. It is easier, Lessig contends, for Mann to blame Republicans than to deal with the corruption of a system per se. The flaw in this approach is its incompleteness. In its rush to name an enemy, it misses Nobel Prize–winning economist Ronald Coase’s core truth: that the cause of a problem is the part you can fix. And given that Republicans are here to stay, and that a Democratic supermajority in Congress is as likely as world peace, our focus should be on the parts of this system that have induced this Republican (and often Democratic) craziness, and on building a political movement to change at least those parts. Lessig has a valid point that the Democrats are frequently as influenced by big money political donors as the Republicans. All one needs to look at is the pharmaceutical and insurance industries’ influence in healthcare reform, Wall Street’s influence over national financial policy (and the failure of the Obama administration to jail any of the banking sector perpetrators of the national economic collapse), the consistently weak enforcement of Dodd-Frank, and the kowtowing of politicians to influence-buying from Silicon Valley. While the solutions to these and other issues are complex, Lessig contends that campaign finance “is the part [of the problem of government that] we can change” and therefore should be a focus of the next single-issue president. We won’t have a functioning government until we create a functioning democracy. And it is precisely because of the rhetoric of Republicans such as Trump, that we have a chance now to build a campaign that rallies America to this obvious truth. There will be citizens of good conscience who argue against the idea of wealth equality. There will be liberals as well as conservatives who argue against the notion of speech equality. But who is going to explain to America that citizens do not deserve equal representation as citizens? Who’s going to defend the grotesque system that gives 400 families so much political power? If there is one truth for us that is self-evident, it is that a representative democracy should represent us equally. And if there is one truth that cannot be denied, it is that America’s democracy doesn’t. Notwithstanding the position of Lessig’s acolytes, Lessig’s two responses (both also run in the Huffington Post) are fundamentally restatements of his reason for running and don’t address the history of single-issue candidates—for any office. For example, even if Lessig were elected with a vice president who would share political judgment and power with him until campaign finance reform is enacted, other than having confidence in Lessig’s judgment as a person, what would be known about how Lessig would deal with issues such as terrorism, refugees, the Middle East, the federal budget, and other priorities that would arise as challenges for President Lessig as much as any other “ordinary president”? Trump is making the sadly powerful case that politicians don’t have to explain what they might really do, but simply look for voters who would hand over the reins of power because of a belief in the person and his aura of competence or whatever. Lessig should be a little concerned that his argument about his presidential leadership in the interregnum between election and legislation sounds a little Trump-ish (without the braggadocio). Moreover, Lessig says that the issue is political inequity, not wealth inequity, but one could make a very powerful argument that until wealth inequity is addressed—which Sanders and O’Malley, for example, would do, while Trump generally would not—political inequity will persist. There is interplay between political inequality and economic inequality—and you can add the issue of race to that as well. Single-issue candidates, even when they are as brilliant as Lessig in addressing other issues, still seem to be inordinately focused on their issue crusade to the detriment of other concerns. Many have noticed that Elizabeth Warren has been increasingly speaking to the racism that magnifies the country’s economic challenges for people of color. She has also been deepening her relationships with leaders of color. Some are speculating that she is angling for a presidential run in 2020.